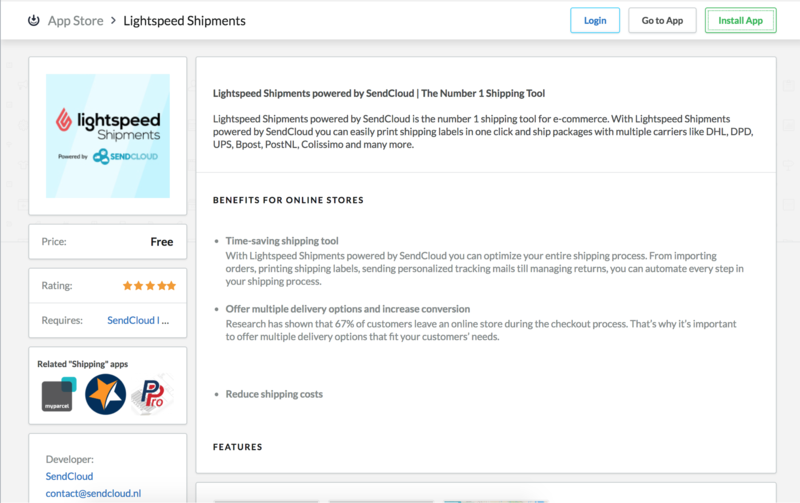 Retrieve the SendCloud module from your LightSpeed shop. 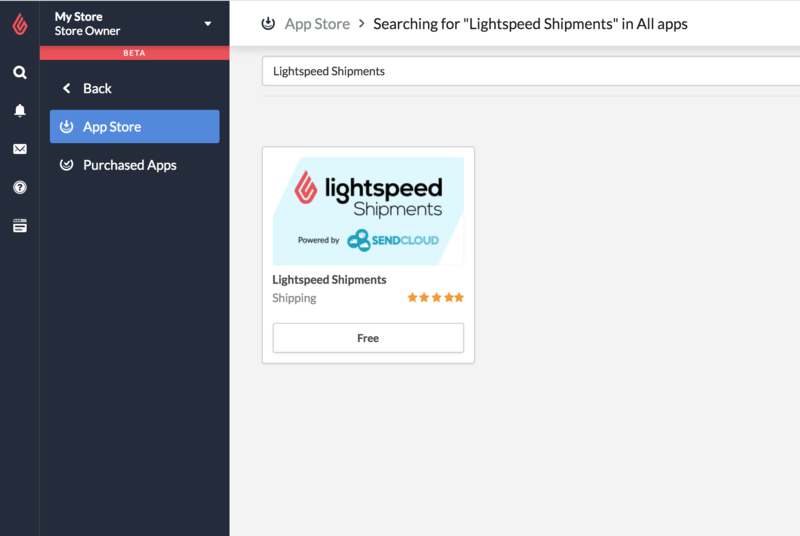 Search within the App store in LightSpeed for the SendCloud application. 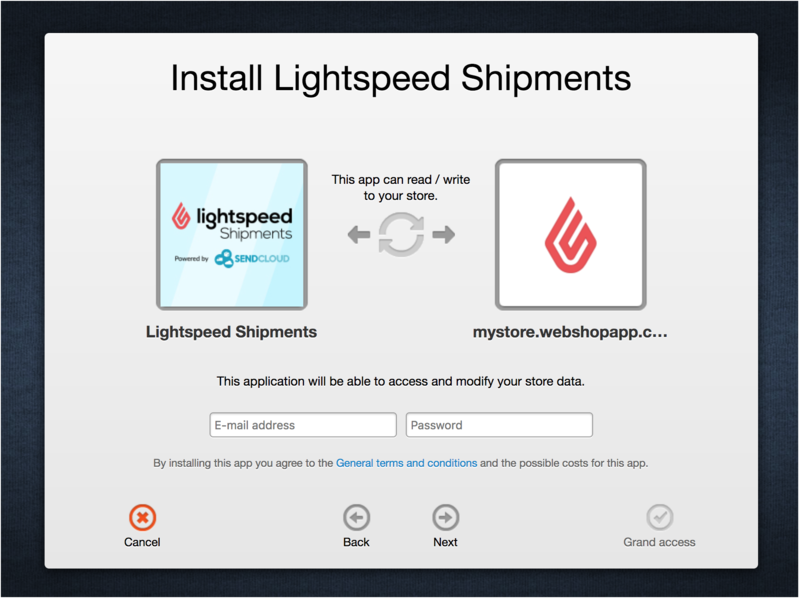 Enter your webshop credentials and click on 'next' followed by 'Grant Access'. 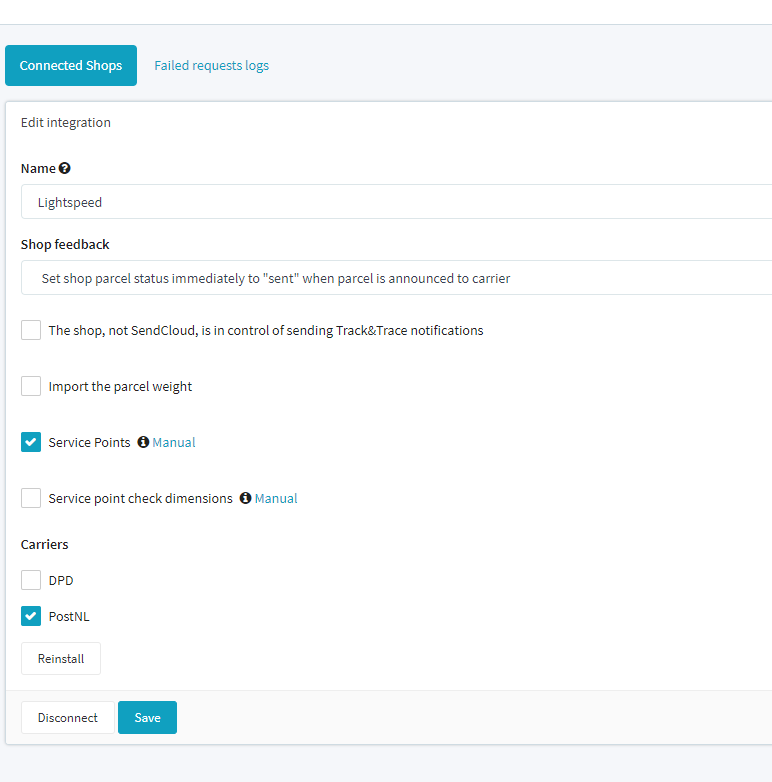 You can now also integrate with using service points.